We are all connected. To each other, to our devices, to our networks, to everything. The world of social media has turned the rest of our worlds upside down. Can you disconnect for three days to assess the situation in your own life? This short book is split into three sections to help you DETOX, DISCERN, and DECIDE what role Facebook, Twitter, Instagram and all the rest can and should have in your life. 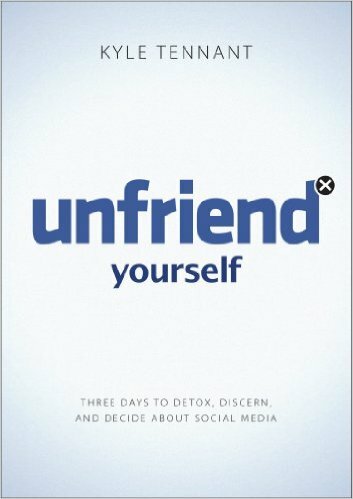 Unfriend Yourself will help you think critically, biblically and practically from a Christian perspective about the merits and ramifications of our social media culture. Don’t worry, the world can wait; your “friends” won’t even know you’re gone. Seriously, there are over half a billion of them out there. I doubt you’ll be missed.